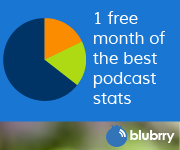 Was your show canceled by the Podcast Authority? Q: Is a Blue Yeti a good microphone to start out with? Now, to be fair, the Blue Yeti is a nice microphone and would be a great mic for someone that has a very quiet recording environment and/or is willing to put in the time to learn how to use it properly. Is it the best? No, is it the worst? Sometimes. make (a digital audio file) available as a podcast. 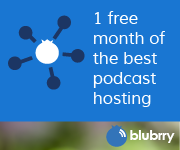 An independent content creator that makes Audio or Video available as a podcast. A host (or co-host) of an Audio show or Video show that is later turned into a podcast. Simply making an Audio or Video show is NOT podcasting. There is a distinction between to the two approaches. Nothing really wrong with either, just different. One is a online radio show with Archives and one is a Podcast.